Recently the retro-future-ish corners of the internet have been passing around this 19th century illustration of a virtual reality headset. And while I can’t verify where the image originally came from, I desperately want it to be real. 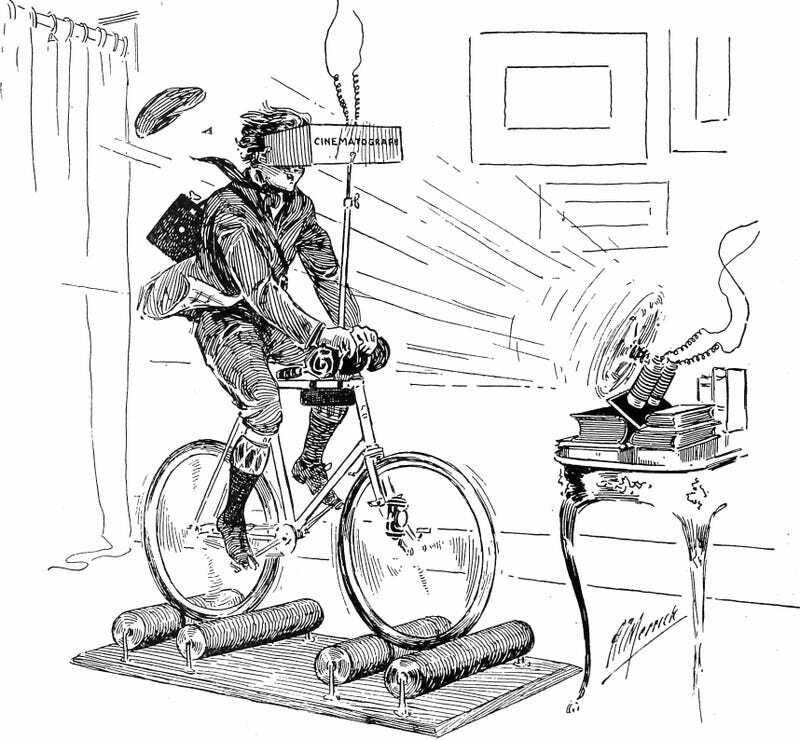 The image supposedly comes from a cycling magazine circa 1896 and was published with text that said: “With a home trainer, electric fan, and cinematograph, all the pleasures of a tour can be had in a hall bedroom.” A cinematograph was an early motion picture camera/projector that helped usher movies into the mainstream. Not only do I want this image to actually be from the 1890s, I really want to try a virtual reality simulator that uses 19th century tech. The pre-history of VR headsets is certainly littered with bizarre experiments, but something like the illustration above could actually be executed pretty well nowadays. Try as I might, I can’t seem to find where this image was originally published. But if you have better sleuthing skills, please let us know where it comes from in the comments below. Update June 11, 2015: It’s real! And indeed from 1897! Thanks to Samuel Henderson for finding the source. Turns out it’s from the January 15, 1897 issue of The Wheel and Cycling Trade Review.